Vsevolod Emilevich Meyerhold (German: Karl Kazimir Theodor Meyerhold) (1874 – 1940) was a Russian theatrical producer, director, and actor whose provocative experiments in unconventional theater made him one of the seminal forces in modern theater. Meyerhold, like Constantin Stanislavski and Lee Strasberg, helped to redefine modern theater by employing new methods of acting that were more in keeping with the changing trends in drama that were initiated by Anton Chekhov, Henrik Ibsen, and Eugene O'Neill. The realism of the modern drama, focusing on the struggles of man in the urban setting, required a different method of presentation. Meyerhold used one based on the system of biomechanics. Meyerhold was born in Penza on January 28 (February 10), 1874 into the family of a Russian-German wine manufacturer Emil Meyerhold. After completing school in 1895 he began the study of law at Moscow University which he never completed. On his twenty–first birthday, Meyerhold converted from Lutheranism to Orthodox Christianity, and accepted "Vsevolod" as an Orthodox Christian name. His acting career began when in 1896 he became a student of the Moscow Philharmonic Dramatic School under the guidance of Vladimir Nemirovich-Danchenko, co-founder of the Moscow Art Theater where Meyerhold later served as an actor. There he played in 18 roles, such as Vasiliy Shuiskiy in "Tzar Feodor Ioanovich" and Ivan the Terrible in "The Death of Ivan the Terrible," both by Alexei Tolstoy, as well as Treplev in Anton Chekhov's "The Seagull." After leaving the Moscow Art Theater in 1902, Meyerhold indulged himself in a number of theatrical projects, working as a director and producer as well as an actor. The numerous projects of Meyerhold served as an arena for experiment and creation of new staging methods. Meyerhold was one of the most fervent advocates of symbolism in theater, especially when he worked as the chief producer of the Vera Kommisarzhevskaya drama theater in 1906-1907. Meyerhold continued his theatrical innovations in 1907-1917, while working with imperial theaters in St. Petersburg, producing classical plays in an innovative manner, and staging works of controversial contemporary authors like Fyodor Sologub, Zinaida Gippius, and Alexander Blok. In their plays Meyerhold tried to return to acting in the traditions of Commedia dell'arte, rethinking them for the contemporary theatrical reality. His theoretical concepts of the "conditional theater" were elaborated on in his book On Theater in 1913. Alexandre Golovine's portrait of Meyerhold. The Russian Revolution of 1917 made Meyerhold one of the most enthusiastic activists of the new Soviet Theater. He joined the Bolshevik Party in 1918 and became an official of the Theater Division (TEO) of the Commissariat of Education and Enlightenment, forming an alliance with Olga Kameneva, the head of the Division in 1918-1919. Together, they tried to radicalize Russian theaters, effectively nationalizing them under Bolshevik control. However, Meyerhold came down with tuberculosis in May 1919 and had to leave for the south. In his absence, the head of the Commissariat, Anatoly Lunacharsky, secured Vladimir Lenin's permission to revise government policy in favor of more traditional theaters and dismissed Kameneva in June 1919. After returning to Moscow, Meyerhold founded his own theater in 1920, which was known as The Meyerhold Theater until 1938. Meyerhold fiercely confronted the principles of theatrical academism, claiming that they were incapable of finding a common language with the new reality. 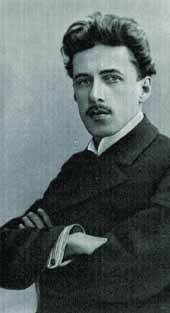 Meyerhold’s methods of scenic constructivism and "circusization" of theater were used in his most successful works of the time, including Nikolai Erdman's The Mandate, Mayakovsky’s Mistery-Bouffe, Fernand Crommelynck's Le Cocu Magnifique, and Alexander Sukhovo-Kobylin’s Tarelkin’s Death. 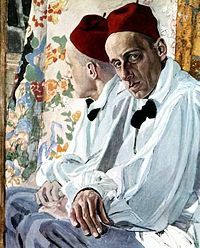 Mayakovsky collaborated with Meyerhold several times, and it is said that Mayakovsky wrote his play, The Bed Bug, especially for him; Meyerhold continued to stage Mayakovsky's productions even after the latter's suicide. The actors participating in Meyerhold’s productions acted according to the principle of biomechanics, the system of actor training that was later taught in a special acting school created by Meyerhold. Meyerhold gave initial boosts to the stage careers of some of the most distinguished comic actors of the Soviet Union, including Igor Ilyinsky and Erast Garin. Both starred in his landmark production of Nikolai Gogol's The Inspector General (1926), as the "full of energy, mischievous, charming Ilyinsky left his post to the nervous, fragile, suddenly freezing, grotesquely anxious Garin. Energy was replaced by trance, the dynamic with the static, happy jesting humour with bitter and glum satire". Meyerhold's acting technique was opposite to Constantin Stanislavski's Stanislavski System and Lee Strasberg's subsequent Method Acting. Where method acting melded the character with the actor's own personal memories to create the character’s internal motivation, Meyerhold connected psychological and physiological processes and focused on learning gestures and movements as a way of expressing outward emotion. He argued that people feel physically before they feel emotionally, so that by practicing and assuming poses, gestures, and movements, emotions will automatically occur. He developed a number of body expressions that his actors would use to portray specific emotions and characters. Meyerhold inspired revolutionary artists and filmmakers such as Sergei Eisenstein, whose films employed actors who worked in Meyerhold’s tradition. An example of his style of acting can be found in the films of Eisenstein, who cast actors based on what they looked like and their expression, and who followed Meyerhold’s stylized acting methods. In Strike!, which portrays the beginnings of the Bolshevik revolution, the oppressive bourgeois are always obese, drinking, eating, and smoking, whereas the workers are athletic and chiseled. Meyerhold was strongly opposed to socialist realism, and in the beginning of the 1930s, when Joseph Stalin clamped down on all avant-garde art and experimentation, his works were proclaimed antagonistic and alien to the Soviet people. His theater was closed down in 1938, and a year later Meyerhold was arrested and imprisoned. His wife, actress Zinaida Raikh, was found dead in their Moscow apartment. He was brutally tortured and forced to make a confession that he murdered her, which he later recanted before the court. He was sentenced to death by firing squad on February 1, 1940. The date of his death is unclear; some sources say he was executed on February 2, 1940. The Soviet government cleared him of all charges in 1955, during the first wave of destalinization. The Death of Meyerhold A play by Mark Jackson, premiered at The Shotgun Players, Berkeley, CA, December 2003. ↑ Robert Leach and Victor Borovsky. A History of Russian Theatre, 303, Cambridge University Press, 1999, ISBN 0521432200. ↑ Konstantin L. Rudnitsky, Meyerhold the Director, Moscow, 1969. All links retrieved October 23, 2014. This page was last modified on 23 October 2014, at 19:44.